Government plans that could give a £200Bn boost to North Sea oil production are expected to be announced by the government this week, securing thousands of jobs as the industry pushes more output from mature and technically challenging fields. Energy Secretary Ed Davey is expected to back demands for the industry for a tougher regulatory regime that would force companies to collaborate to maximise recovery from fields previously regarded as too difficult or uneconomic. An interim report from senior oil industry figure Sir Ian Wood last year highlighted the potential benefits and his final report is due today. Ed Davey was reported in the Financial Times that the impact of the Wood Review would be greater over the next five to ten years than shale gas. North Sea investment reached a peak of £14Bn last year but exploration has been falling and output fell by some 38% over the past three years. The Wood reforms would involve government passing legislation allowing them to force oil companies to share infrastructure, overseen by a stronger regulator. Industry groups have thrown their weight behind the proposals. The UK continental shelf is estimated to still contain between 12Bn and 24Bn barrels of oil equivalent (boe), compared to the £41Bn that have already been extracted. Sir Ian’s interim report said the viability of extracting much of this would only be possible if companies shared offshore infrastructure and created hubs and clusters of expertise. 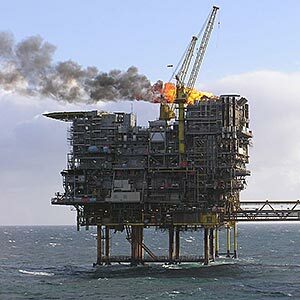 Companies including Chevron and Statoil are among those that have recently shelved plans for some field developments because of rising costs and technical challenges of extracting oil and gas from inhospitable North Sea environments. The new collaborative regime could help make some otherwise marginal developments viable.